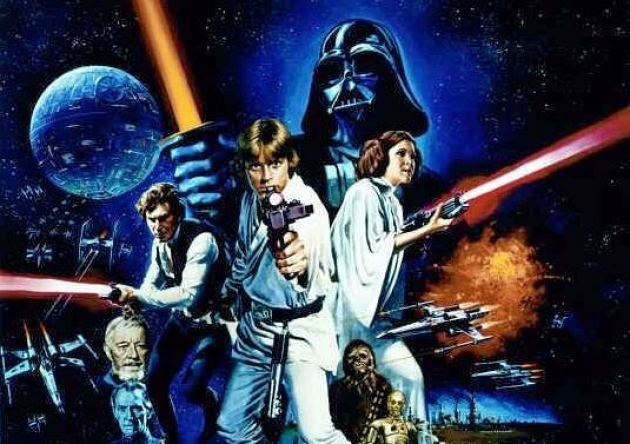 Star Wars is back in the spotlight with the announcement that there will be more theatrical movies, continuing the story after the events in Return of the Jedi. I’m cautiously optimistic and excited. Excited because Star Wars is more than just a movie to me; Star Wars is the greatest work of pop culture ever. I’m cautious because George Lucas will be less involved in the next movie than he was the previous 6. Let me say up front: Star Wars, in my eyes, is perfect!! I see nothing wrong with any of the movies. They aren’t deep, meaningful stories but they don’t need to be! If you are watching Star Wars you should be ready and willing to have fun! 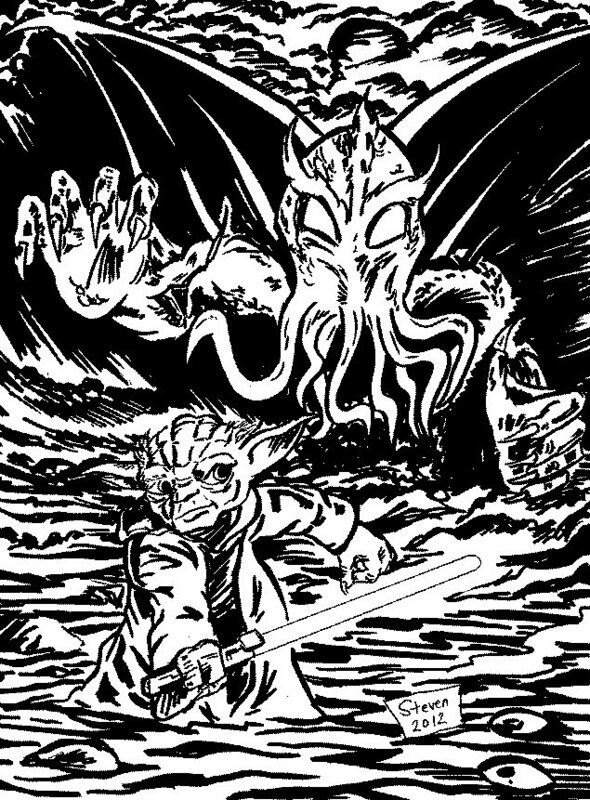 Nothing in my life has ever been as much fun as Star Wars. Sure, I love to over-analyze the characters and motivations and try to figure out the backgrounds of all the inconsequential minor characters. But I don’t take such over-analysis too seriously. Still, allow me to do a little bit here. Initially, my favorite character in Star Wars was R2D2. It’s really amazing how much character there can be in a non-humanoid who doesn’t speak a recognizable language. Han was also an early favorite, probably because he’s cool and tough and not very conformist. But the story in the original trilogy is really Luke’s, and the most interesting character throughout the trilogy is him, at least to me. When I first saw The Phantom Menace I immediately took a liking to Jar Jar. For some reason, he didn’t become the ultra-popular character I thought he would, but I still love him! He’s total fun and an “ordinary guy” in the middle of Jedi and royalty. However, my affections eventually were won over by Padme Amidala, the tough, intelligent and beautiful leader who is excellently portrayed and it’s so easy to see the qualities of Luke and Leia in her. A great Walter Simonson cover! 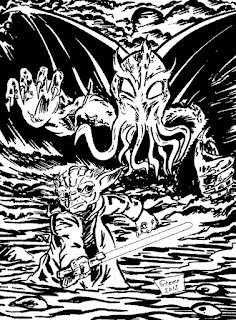 After I first saw Star Wars, long before I knew there would be sequels and had a VCR to watch the movie over and over again, I discovered the Star Wars comic book series by Marvel Comics. They weren’t always the best written or drawn tales, but they sure kept me entertained waiting for the next theatrical release. 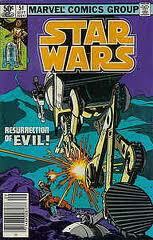 My favorite run was by Dave Micheline and Walt Simonson and took place after The Empire Strikes Back. And they were great stories despite being at a time when the story possibilities seemed very limited. I could go on and on and on. Maybe I’ll come back to this at a later time, but it’s time to end for now. Well, the second storyline of Mutant Elf, my webcomic, ended this week. Which, of course, means that next week begins the third storyline! No time off when you’re engaged in the never-ending battle to keep fairy creatures out of our mundane Earth! 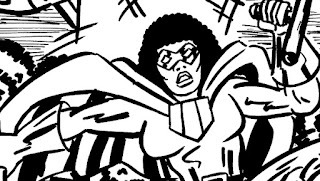 In addition to the third webcomic story, I am also currently working on an 8-page Mutant Elf story for this year’s SPACE Anthology. Since Mutant Elf premiered in last year’s SPACE Anthology, I couldn’t resist doing another strip this year. The first Mutant Elf story was an 8-page introduction to the concept and main characters, Tom and Mysa. 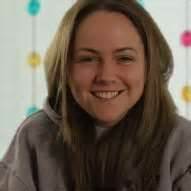 The second story was a way for me to introduce Teri, Tom’s girlfriend, and the difficulties Tom has working with Mysa while maintaining a relationship with Teri. The third storyline will swing the attention to Mysa, as we learn about her origin and little more why she’s a “Mutant Elf”. The 8-pager for the SPACE Anthology is a light tale to show a typical fairy encounter. Hopefully, all the Mutant Elf stories are light-hearted fun. Since my F.E.D.s comic is a big epic super-hero tale, I wanted Mutant Elf to be very different. Shall we return to Bedrock? Through the courtesy of Fred’s two feet? Yes, I have been watching the first two seasons of the Flintstones recently, and it has inspired me to write my thoughts and feelings about the classic prehistoric cartoon family! There are some really interesting aspects of the cartoon-especially in the early days- that I wish to discuss. 1) Don’t look for continuity! 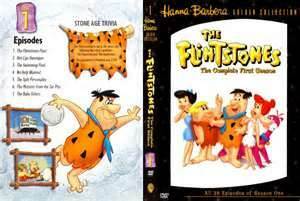 How did the Flintstones meet the Rubbles? How many seats are there in Fred’s car? Who is Fred’s boss and what does he look like? 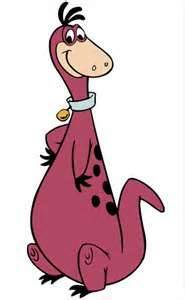 Can Dino talk? These questions have different answers depending on which episode you watch! I think it’s a rather charming aspect of the cartoon. The writers write whatever they thought fit the story and kept things funny and interesting. It didn’t matter how much it contradicted what was on last episode. In modern pop culture, people are a little too obsessed with continuity, and it is refreshing to watch a show that ignores such details. 2) I like Barney! Yeah, I know it’s Fred and his antics that carry the show, and he’s a tribute to Jackie Gleason’s Honeymooners character Ralph Kramden. But the truth is, he’s a grump! Barney is the fun-loving neighbor and best friend, and he’s very much the comedy relief for the show. I love his laugh, and he always seems to make me feel better just by laughing! And except for the episode where Barney gets a job repossessing Fred’s television, his source of employment is kept secret. 3) The Flintstones have been childless for a while. The continuity is vague (see above)but Fred and Wilma have been married up to 15 years without becoming parents! It must have been quite a lifestyle change when Pebbles came along! No wonder they only had one child! 4) Rise and Shine! The opening theme song for the first two seasons is not the song I quoted in my opening paragraph, but rather an instrumental piece called “Rise and Shine” played over Fred’s journey home to watch TV, which is very similar to Homer Simpson’s journey in the opening of the Simpsons. The original ending has a slightly different sequence of the cat locking Fred out of the house than what I was used to watching the show in syndication as a child, also. 5) They have a cat? Did the cat ever make an appearance in the actual show? In conclusion, I love the Flintstones, and think everyone should go out and get the series on DVD so you can be sure you see all the episodes! You’ll have a gay old time, I’m sure! No, this is not my diary entry. Rather, I was thinking about diaries this week, and how they’re used in literature, including comic books, film, and real life. I’ll give credit to Jason Leaver and Kate Conway for “Rose’s Video Diary” which got me thinking. “Rose’s Video Diary” is a series of videos by the Rose Miller character of Out With Dad that is being released in the off season to keep all us fans interested in Out With Dad until the next season starts. The first video doesn’t have a lot of new thoughts from Rose about her relationship with her dad, but it does have some interesting comments about the idea of keeping a diary. In the literary field, a character having a diary or journal is a good method of helping readers understand the inner thoughts, feelings, and motivations of a character. In a written format, the only other method I can think of that is similar is first-person narration. I think of the 1980’s as the heyday of comic books with first person narration, particularly done well by Chris Claremont in the X-Men. Alan Moore used a journal for the character Rorschach in his Watchmen series, and I think the series would have failed without this touch. 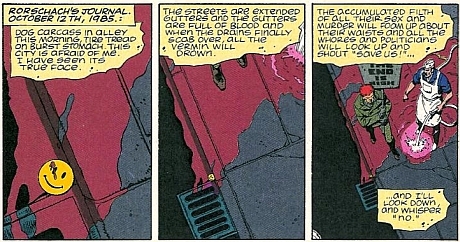 The journal allows us to understand the motivations behind Rorschach’s actions, and provides us with the great ending! In television and movies writers often use a voice-over as first person narration, which can act similarly to a diary to communicate with viewers about what’s going on inside the head of characters. With webseries and their ability to create episodes of various lengths, and the modern availability of video, having a character create a video diary is an excellent device to use in telling a story. Personally, I’ve never kept a diary or journal. Perhaps I just don’t have any deep thoughts to write down. Or maybe it’s because I don’t particularly care for writing. Or perhaps I don’t like talking to myself. Anyway, I don’t particularly get the idea of a diary. I guess it’s a therapeutic exercise, but it doesn’t click with me. So no diary for me. This blog is the closest to a journal I’m ever likely to have.